The Human Resources Director originates and leads Human Resources practices and objectives that will provide an employee-oriented, high-performance culture that emphasizes empowerment, quality, productivity and standards, goal attainment, and the recruitment and ongoing development of a superior workforce. The Human Resources Director coordinates implementation of services, policies, and programs through Human Resources staff; reports to the CEO and serves on the executive management team; and assists and advises company managers about Human Resources issues. Development of an employee-oriented company culture that emphasizes quality, continuous improvement, and high performance. Develops and administers programs, procedures, and guidelines to help align the workforce with the strategic goals of the company. Participates in executive, management, and company staff meetings and attends other meetings and seminars. With the CEO and CFO, annually plans the company's philanthropic and charitable giving. Manages the development and maintenance of the Human Resources sections of both the Internet, particularly recruiting, culture, and company information; and Intranet sites. Utilizes Great Plains software to the company's advantage. Defines all Human Resources training programs, and assigns the authority / responsibility of Human Resources and managers within those programs. Provides necessary education and materials to managers and employees including workshops, manuals, employee handbooks, and standardized reports. Leads the implementation of the performance management system that includes performance development plans (PDPs) and employee development programs. Assists with the development of and monitors the spending of the corporate training budget. Establishes and leads the standard recruiting and hiring practices and procedures necessary to recruit and hire a superior workforce. Interviews management- and executive-level candidates; serves as an interviewer for position finalists. Chairs any employee selection committees or meetings. Formulates and recommends Human Resources policies and objectives for the company with regard to employee relations. Partners with management to communicate Human Resources policies, procedures, programs and laws. Determines and recommends employee relations practices necessary to establish a positive employer-employee relationship and promote a high level of employee morale and motivation. Conducts investigations when employee complaints or concerns are brought forth. Monitors and advises managers and supervisors in the progressive discipline system of the company. Monitors the implementation of a performance improvement process with non-performing employees. Reviews, guides, and approves management recommendations for employment terminations. Leads the implementation of company safety and health programs. Monitors the tracking of OSHA-required data. Reviews employee appeals through the company complaint procedure. Establishes the company wage and salary structure, pay policies, and oversees the variable pay systems within the company including bonuses and raises. Leads competitive market research to establish pay practices and pay bands that help to recruit and retain superior staff. Monitors all pay practices and systems for effectiveness and cost containment. Leads participation in at least one salary survey per year. With the assistance of the CFO, obtains cost-effective, employee serving benefits; monitors national benefits environment for options and cost savings. Leads the development of benefit orientations and other benefit training. Recommends changes in benefits offered, especially new benefits aimed at employee satisfaction and retention. Leads company compliance with all existing governmental and labor legal and government reporting requirements including any related to the Equal Employment Opportunity (EEO), the Americans With Disabilities Act (ADA), the Family and Medical Leave Act (FMLA), Employee Retirement Income Security Act (ERISA), the Department of Labor, worker compensation, the Occupational Safety and Health Administration (OSHA), and so forth. Maintains minimal company exposure to lawsuits. Directs the preparation of information requested or required for compliance with laws. Approves all information submitted. Serves as the primary contact with the company employment law attorney and outside government agencies. Protects the interests of employees and the company in accordance with company Human Resources policies and governmental laws and regulations. Designs and directs and manages a company-wide process of organization development that addresses issues such as succession planning, superior workforce development, key employee retention, organization design, and change management. Directs a process of organizational planning that evaluates company structure, job design, and personnel forecasting throughout the company. Evaluates plans and changes to plans. Makes recommendations to executive management. Identifies and monitors the organization's culture so that it supports the attainment of the company's goals and promotes employee satisfaction. 's culture so that it supports the attainment of the company's goals and promotes employee satisfaction. Leads a process of organization development that plans, communicates, and integrates the results of strategic planning throughout the organization. Manages the company-wide committees including the wellness, training, environmental health and safety, activity, and culture and communications committees. Keeps the CEO and the executive team informed of significant problems that jeopardize the achievement of company goals, and those that are not being addressed adequately at the line management level. The Human Resources Director assumes other responsibilities as assigned by the CEO. To perform the Human Resources Director job successfully, an individual must be able to perform each essential responsibility satisfactorily. These requirements are representative, but not all-inclusive, of the knowledge, skill, and ability required to lead as the company Human Resources Director. Broad knowledge and experience in employment law, compensation, organizational planning, organization development, employee relations, safety, and training and development. Above average oral and written communication skills. Demonstrated ability to lead and develop Human Resources staff members. Demonstrated ability to serve as a successful participant on the executive management team that provides company leadership and direction. Demonstrated ability to interact effectively with the company Board of Directors. Excellent computer skills in a Microsoft Windows environment. Must include Excel and skills in database management and record keeping. Minimum of a Bachelor's degree or equivalent in Human Resources, Business, Organization Development. Ten plus years of progressive leadership experience in Human Resources positions. Specialized training in employment law, compensation, organizational planning, organization development, employee relations, safety, training, and preventive labor relations, preferred. Active affiliation with appropriate Human Resources networks and organizations and ongoing community involvement preferred. Possess ongoing affiliations with leaders in successful companies and organizations that practice effective Human Resources Management. These physical demands are representative of the physical requirements necessary for an employee to successfully perform the essential functions of the Human Resources Director's job. Reasonable accommodation can be made to enable people with disabilities to perform the described essential functions of the Human Resources Director's job. 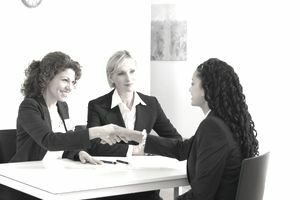 While performing the responsibilities of the Human Resources Director's job, the employee is required to talk and hear. The employee is often required to sit and use their hands and fingers, to handle or feel. While performing the responsibilities of the Human Resources Director's job, these work environment characteristics are representative of the environment the Human Resources Director will encounter. Reasonable accommodations may be made to enable people with disabilities to perform the essential functions of the Human Resources Director's job. While performing the duties of this job, the employee is occasionally exposed to moving mechanical parts and vehicles. The noise level in the work environment is usually quiet to moderate. This job description is intended to convey information essential to understanding the scope of the Human Resources Director's position and it is not intended to be an exhaustive list of skills, efforts, duties, responsibilities or working conditions associated with the position.